HONOR, a leading smartphone e-brand under the Huawei group, has announced the onset of HONOR Days Sale. 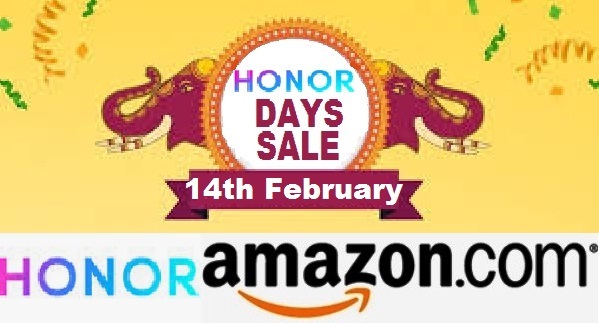 Commencing on 14th February, the exclusive sale on Amazon.in will have impressive deals and offers on its mobile phone devices – Honor 8X, HONOR Play, HONOR 8C and HONOR 7C. The top deals include price drop for HONOR Play, HONOR 8C and HONOR 7C along with exchange offer on HONOR 8X. Furthermore, HONOR is offering VIP services for HONOR View20 customers offering end to end customer service until the issue is resolved including different IVR lines, reservation service and No Token system at the ASC’s. The customers can also enjoy free pick & drop for IW repair. 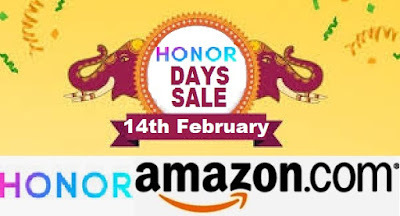 These offers can be availed exclusively on Amazon.in starting from 14th February, 2019 to 18th February, 2019.